Having got married on 4th August, we thought it reasonable to go on our honeymoon to the Amalfi Coast shortly after. We drove to London and stayed in the Heathrow Sheraton Skyline before flying to Italy early the following day. Our flight involved changing at Rome before continuing to Naples and arriving late in the afternoon. 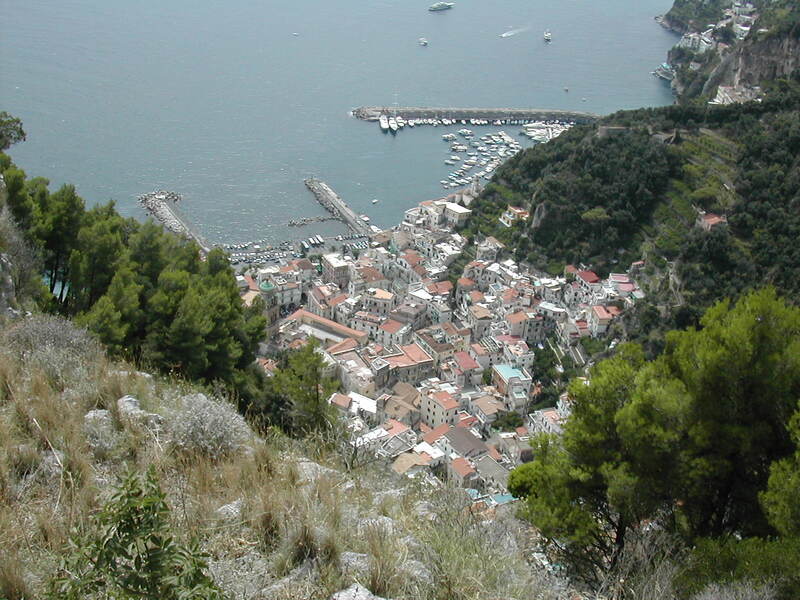 We had planned to get a taxi to the railway station, then a train to Salerno followed by another taxi to Amalfi. However, through lots of hand gestures and scrawled notes (whilst driving), our first taxi driver persuaded us that for an extra 20 Euros it would much faster if he drove us straight to Amalfi. Sure enough, we arrived in Amalfi about an hour and a half later having experienced our first trip over the mountains around as many hairpin turns as we could handle. We spent the next ten nights at the Residenza del Duca, a charming hotel Amalfi keeps hidden away in a side street from the town centre. We’d like to thank all the staff at Residenza del Duca and Ristorante l’Abside in Piazza dei Dogi (right below our hotel) for making us feel so welcome. 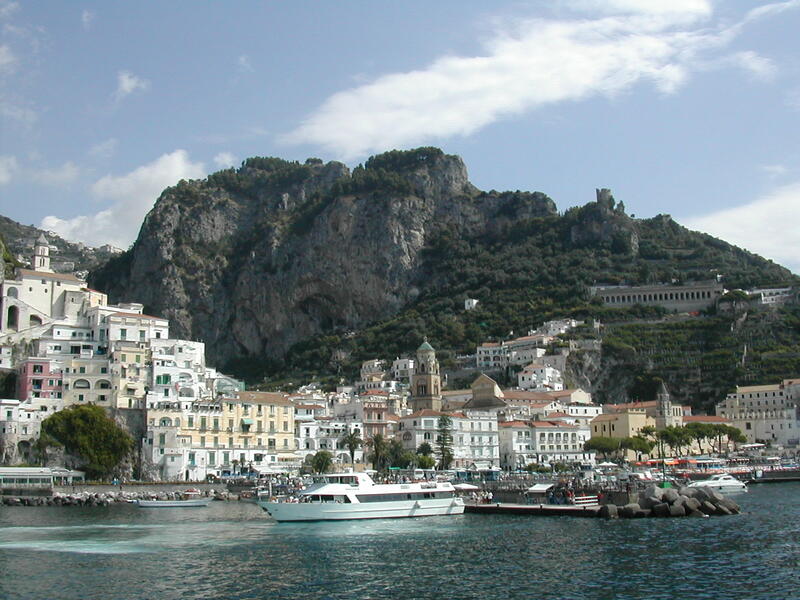 This is the beautiful town of Amalfi taken from the coastal ferry. The town is nestled on the coast, at the foot of the mountains, between two large outcrops of rock. 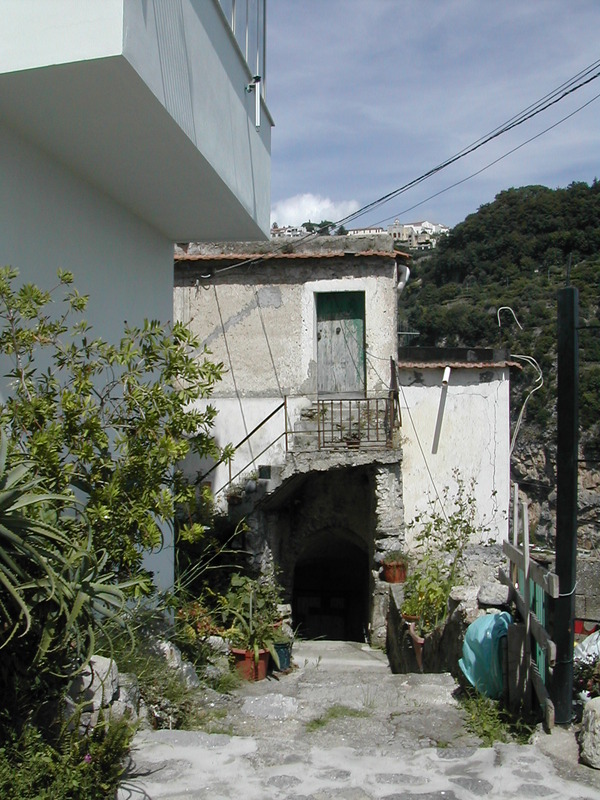 The Amalfi Coast runs between the towns of Positano and Salerno. Here’s an Amalfi Coast map I prepared earlier. 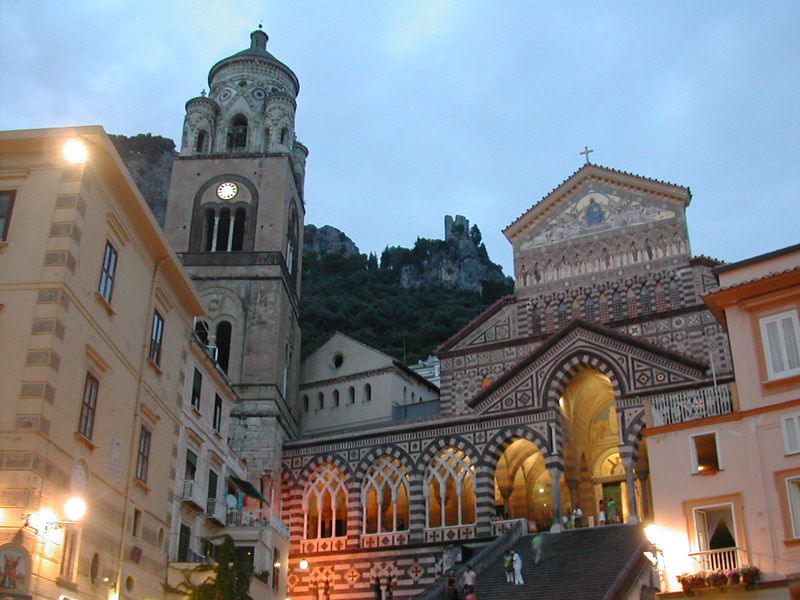 Il Duomo or Amalfi Cathedral is the focal point of the town. Tourists swarm the steps throughout the day. What we didn’t realise, until we visited the crypt, was that this is the current resting place of Jesus’ first apostle, Andrew. Our moment of reflection on the importance of this place was somewhat ruined by a crying tourist baby. Hmm. Looking down over Amalfi from the east. At this point, we had climbed approximately 1500 steps, been given two bloody great lemons by an elderly gentleman, ordered lemonade from a bar in Pontone but given freshly squeezed lemon juice and been on the receiving end of this view. Best of all, though, we’d got away from the vast majority of tourists. Well worth the climb! Pontone is a small town up in the mountains overlooking both Amalfi and Atrani, a neighbouring coastal town. Ramshackle buildings brushed shoulders with new developments. Whilst in Pontone we discovered a fantastic restaurant: Ristorante San Giovanni. Beautiful food, beautiful wine and a beautiful view from the terrace. Eat at around 2pm to avoid the coachload of tourists during the summer months. 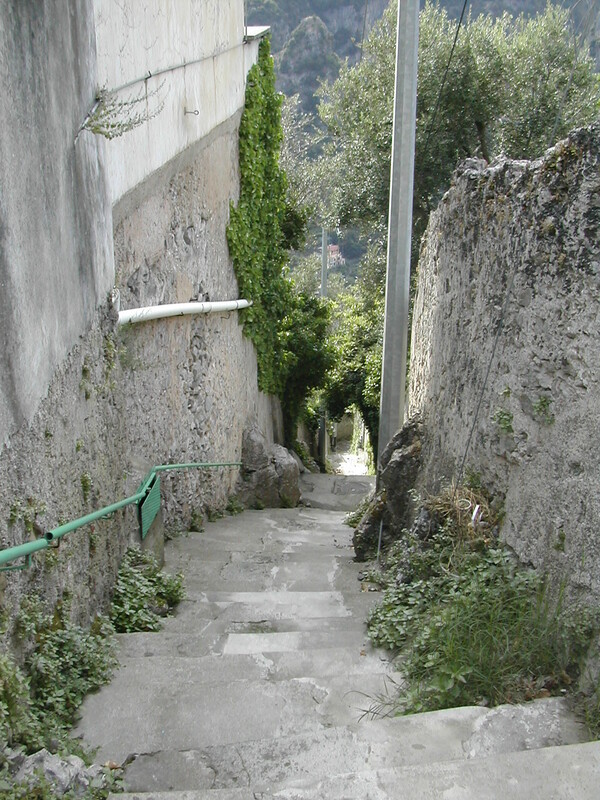 These were just some of the 1500 steps we climbed to get to Pontone. 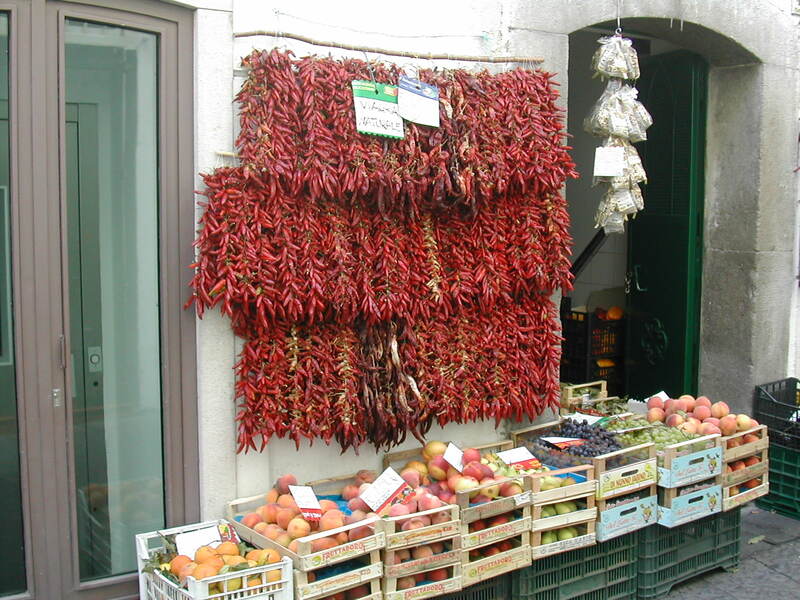 This wall of chilies was being advertised as a natural form of Viagra. You don’t see that in your local supermarket! 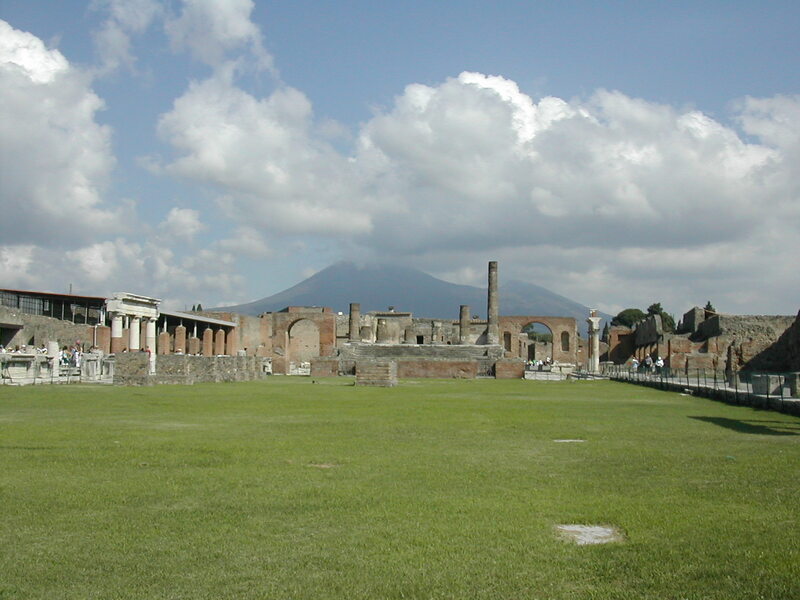 This is where we started our tour of Pompeii, apparently the most visited tourist site in the world. That’s Vesuvius looming in the background. 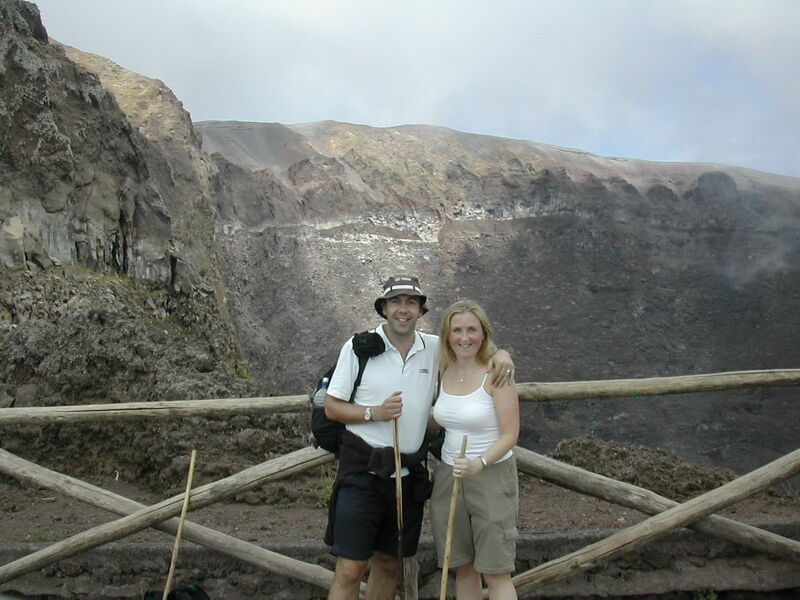 The crater on Vesuvius. We’d prepared for a reasonable trek up the volcano, but found that the coach stopped about 200 metres below the crater. A 15 minute climb up a zigzag path and we were there. Where’s the fun in that! Unfortunately, we were surrounded by cloud, so there wasn’t much of a view. Overall, it was a little disappointing after our experiences in Iceland and New Zealand (coming soon). 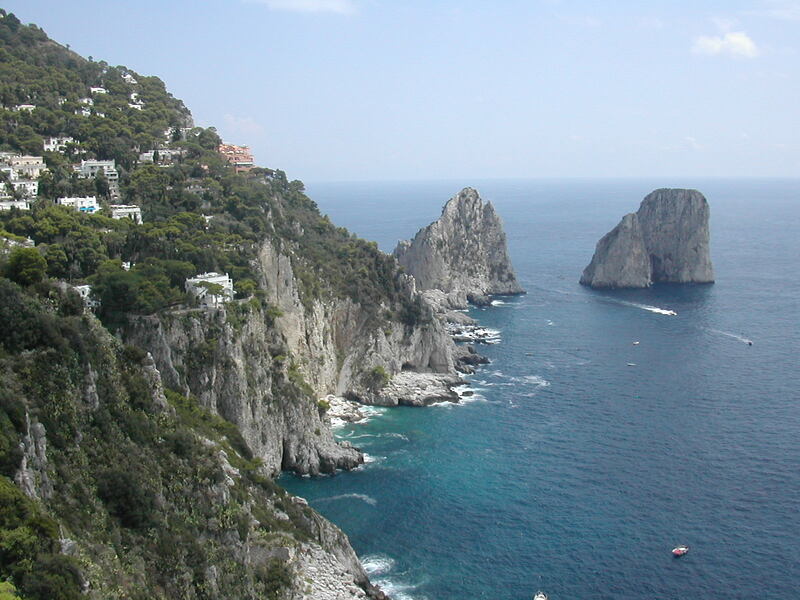 Faraglioni Rocks on the isle of Capri. Capri isn’t actually part of the Amalfi Coast, but it’s so close and easy to get to by ferry, we thought it worthy of a visit. Whilst parts of the island were naturally beautiful, they were often spoilt by the presence of humans. The town of Capri itself, whilst attractively rustic, was ruined by hideous designer label people, orange tans and stupid little lap dogs. It was quite sickening. 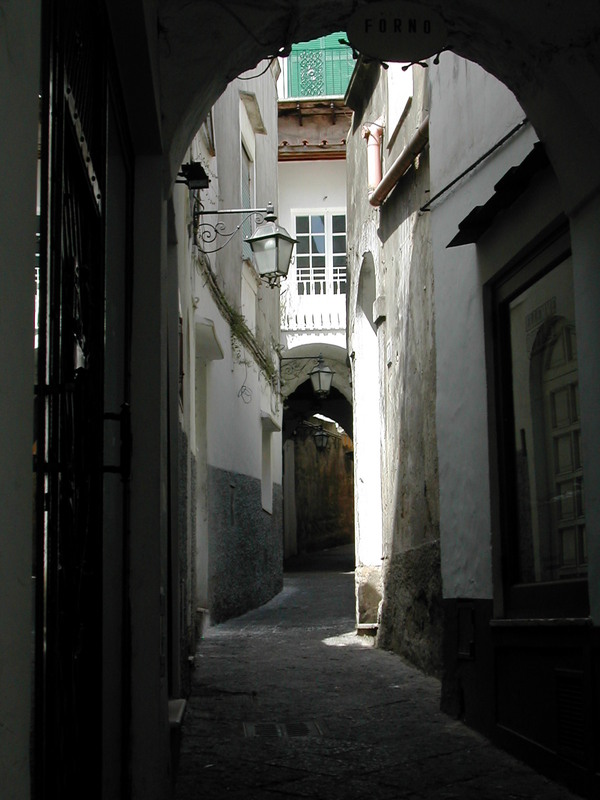 All the urban centres we visited in the area had these style narrow alleyways. I was lucky to find this empty alley in Capri to get a good shot. I imagine the orange people in the ridiculous hat shop (just off shot to the left) were looking down their noses at me. 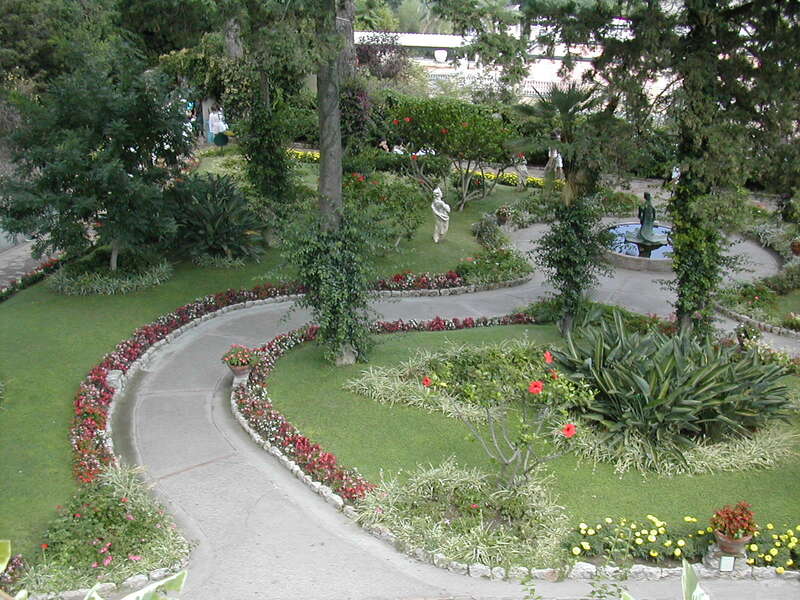 Gardens of Augustus, Capri. These beautifully kept terraced gardens, built in the 1930s, are situated at the top of a cliff and display a range of the island’s flora. This is just a small section of miniature houses built into the cliff face at the side of the road in Praiano. 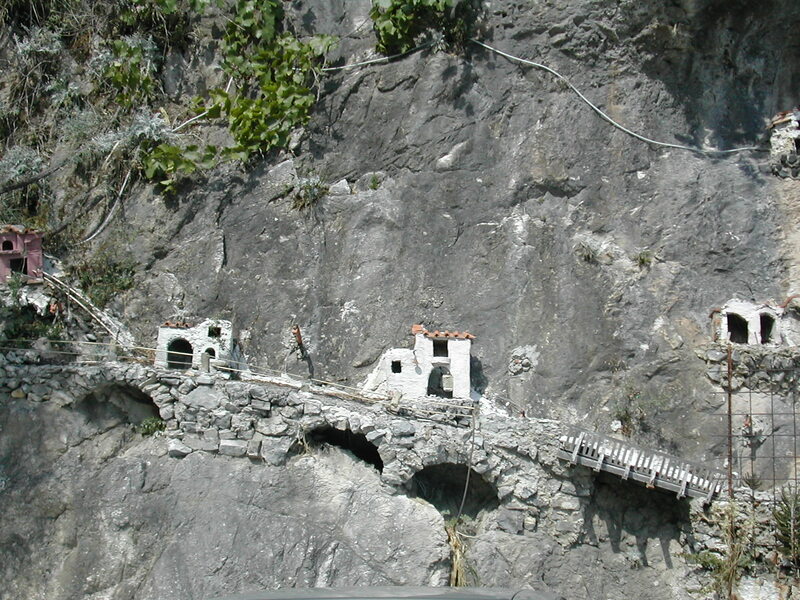 We spotted similar model villages elsewhere along the Amalfi Coast, just another part of the charm of the area.